With golf being an important part of the business traveler’s life, National Car Rental has been proud to be an Official Partner and Official Rental Car of the PGA of America. 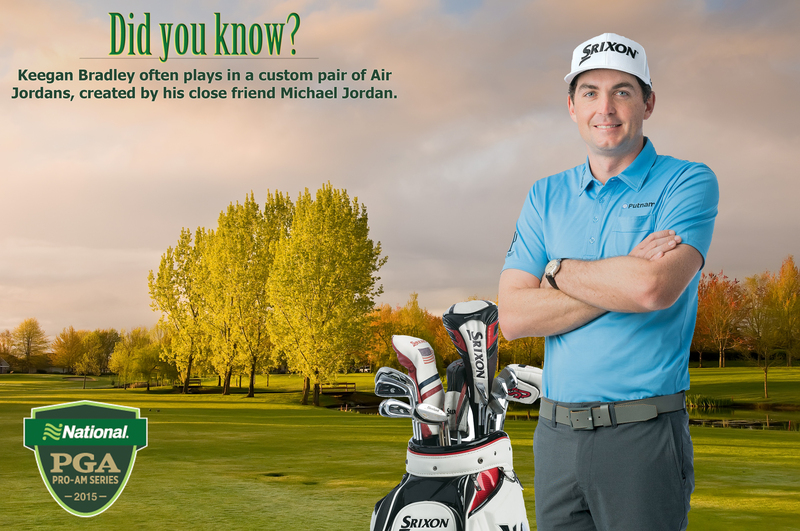 Every year, National Car Golf kicks off the National Car Rental PGA Pro-Am Series, with the Mark and Keegan Bradley as the campaign ambassadors. Throughout the series, a branded “Mobile Tour Experience” bus can be spotted traveling around the country to various clubs and golf courses, helping golfers improve their game through lessons. This is supplemented with content across social media channels, including Twitter chats, blog posts, and unique content shared both on National Car Rental’s pages, and their golf-specific channel, @NationalCarGolf. For two years, I’ve worked to develop unique social content involving the PGA Pro-Am Series for our Facebook, Twitter, Youtube, and Google+ channels, from brainstorming through execution. I often design and create the graphics that we use, and have written the script for (and participated in) a Twitter chat we held with Keegan Bradley and former PGA of America President, Ted Bishop. I work alongside our agency partner to draft content for @NationalCarGolf, and work with golf and travel influencers to create original content for our National Car Golf website. For two years, the campaign was a major success for both the PGA and National Car Rental. The Pro-Am Series has led to an increase in Emerald Club signups and brand awareness, and we had over 10,000 amateur golfers participate in the 2013 National Car Rental PGA Pro-Am Series.